It’s that time of the year again, our Christmas raffle is back and bigger than ever. Tickets are available from any member of the club and cost €2 each or a book of 3 for €5. 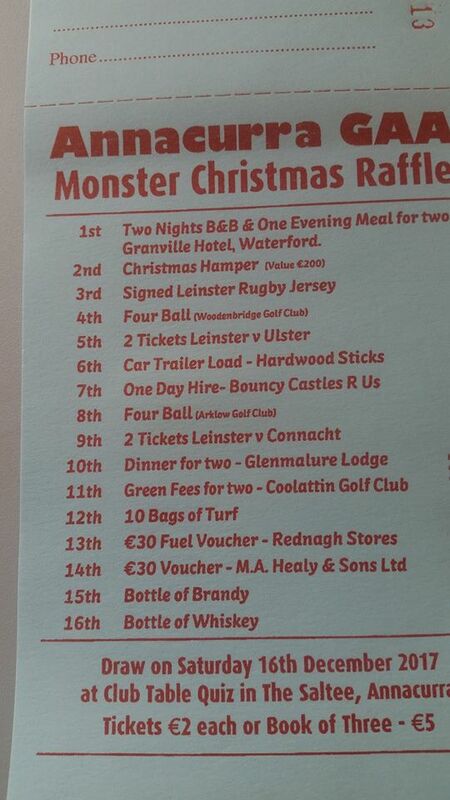 The draw for these fanastic prizes will take place on the 16th December in the Saltee pub during our Table Quiz. An eclectic range of questions to get you into the holiday mood or even brush up on your general knowledge, this is a night not to be missed. Christmas jumper / Christmas clothing highly encouraged.